The Supreme Court on Friday issued notice on a PIL by the NGO PUCL challenging the surveillance powers of the State under section 5(2) of the Indian Telegraph Act read with Rule 419-A of the Indian Telegraph Rules of 1951. The petition also attacks the constitutional validity of section 69 of the Information Technology Act and the Information Technology (Procedures for Safeguards for Interception, Monitoring and Decryption of Information) Rules of 2009. 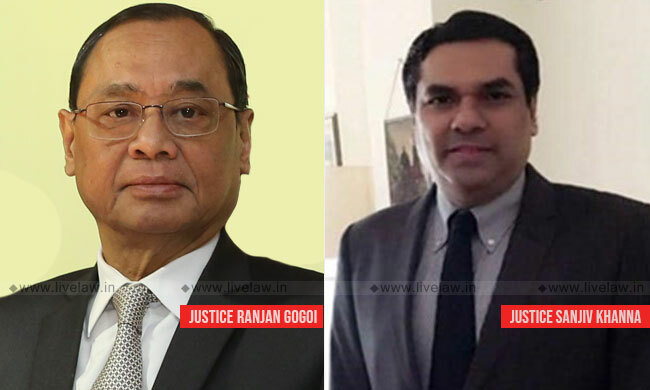 The bench headed by Chief Justice Ranjan Gogoi tagged the PIL with a string of earlier petitions challenging the Ministry of Home Affairs' order dated December 20 authorising ten Security and Intelligence agencies to intercept, monitor and decry-pt "any information generated, transmitted, received or stored in any computer", on which the court had issued notice on January 14. In its plea, PUCL has highlighted the "rampant and the indiscriminate use of surveillance powers", with the RTI data revealing that as many as 7500-9000 orders for the interception of phone calls and upto 500 orders for interception of emails are passed each month. In the wake of the "sea change in communication technology" based on wireless, digital electronic technology, PUCL stresses on the need for judicial oversight to check "arbitrary and surreptitious electronic surveillance of citizens". The petition places reliance on the 2017 nine-judge bench decision of the apex court declaring the right to privacy to be a fundamental right under Article 21, and the subsequent Aadhaar judgment in 2018, where the Disclosure of information in the interest of national security, made pursuant to a direction of an officer not lower in rank than the Joint Secretary to the Government of India, under section 33(2) of the Aadhaar Act was held to be unconstitutional for evading judicial scrutiny. The petition also points out that the UK Interception of the Communications Act, 1985, inspired by which the top court had, in its judgment rendered in 1997 on another PIL by PUCL, stopped short of mandating judicial oversight in sanctioning an order for telephone tapping to prevent politically-motivated decisions to tap telephones, has now been repealed. It has been brought to the court's attention that now even in the UK, the current surveillance regime requires oversight by a Judicial Commissioner who is expected to apply the same standards as in judicial review. It may be noted that in context of its order of December 20, 2018, the government had subsequently clarified that The new order "does not confer any new powers" to any security or law enforcement agency, the Information Technology Rules, having been framed during the UPA regime in 2009, adding that "each case" of computer interception, monitoring and decryption is "to be approved by the competent authority, which is the Union home secretary"